Commissioner for the Environment, Maritime Affairs and Fisheries Karmenu Vella will today deliver a speech at the Leaders' Segment of the first international high-level Sustainable Blue Economy Conference held in Nairobi (Kenya) from 26-28 November. The Commissioner will remind the participants of the recently proposed by President Juncker Alliance for Sustainable Investment and Jobs between Europe and Africa, an Alliance that could help create up to 10 million jobs in Africa in the next 5 years. In support of this Alliance the Commissioner will announce a number of actions through which the EU is supporting the development of a sustainable maritime economy in Africa and beyond. 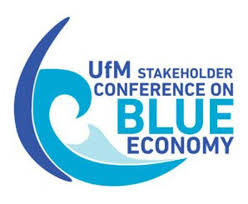 The blue economy has a huge potential to drive sustainable growth. In the European Union – from the Mediterranean through the Atlantic to the Baltic Sea - it generates 566 billion EUR and creates jobs for nearly 3.5 million people. Commissioner Vella will also recall the work done by the EU and this Commission in particular in managing fish stocks at sustainable levels by 2020, reducing plastic marine litter, fighting illegal fishing and mobilising the markets through the EU's External Investment Plan. Nearly 44 billion EUR of investment could be activated this way by 2020, including for the maritime economy. As part of his visit to Kenya, Commissioner Vella will also meet the President of Kenya, Mr Uhuru Kenyatta to discuss EU-Kenya cooperation in promoting green and blue growth. Tomorrow, Commissioner Vella will receive a Medal from the French Maritime Cluster for his commitment and work on actively including the seas and oceans as part of our economy.